In Tanzania, Margreth struggles with discrimination and work exploitation from having a hearing impairment. Previously, she worked at Buhangjuga Primary school as a teacher for nine months. However, during this time, she was not payed for her work. Her mother sent complaints to the District Commissioner, who in return sent her family money, but did not compensate Margreth for the amount of work she did. Now, she is jobless and relies on her aging mother for income. Unfortunately, this a common story for disabled women in Tanzania. She is one of the many women in Tanzania that are thought as unfit for work and education because of their disability. Aneth Gerana Isaya understands the hardships that disabled women endure from her experiences as a deaf and mute woman. Being a part of Global Peace Foundation’s (GPF) Global Peace Women Leadership Academy (GPWLA) empowered her to make a difference. As a student from the University of Dar es Salaam, Aneth has a master’s degree in Strategic and Peace Studies and founded FUWAVITA, an organization dedicated to taking disabled women out of poverty and empowering them to independently generate income. 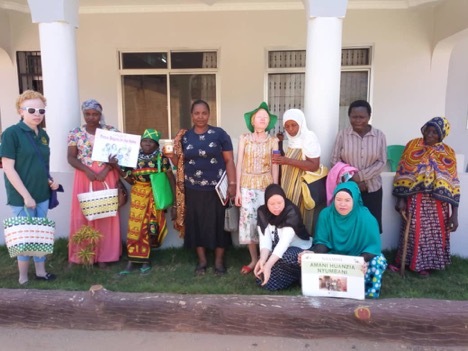 From April to September 2018, Aneth held programs in Morogoro, Tanzania to help a hundred other women with disabilities to support themselves economically by teaching them to make products for the market, such as crafts, soaps, batiks, and food products, and how to sell them. Aneth desires to help these women live healthier lifestyles that contribute to creating peaceful homes and communities for a peaceful world, because, as the motto of the women's division of GPF articulates, "Peace Begins in the Home." In her interviews and surveys with women with disabilities, Aneth discovered that these women were put in difficult lifestyles early on. Most girls with disabilities are not educated due to the lack of accommodations for them at school. Furthermore, they are stigmatized and have been discriminated against in the workplace. She found that the majority of disabled women in Tanzania are living in severe poverty due to these hardships. Aneth faced real challenges mobilizing the women for training, especially since most of them spent their lives as beggars without education and work experience. The majority of the disabled women were conditioned in environments that discouraged them from feeling capable in education and the work environment. However, she said, “I told them that self-employment through entrepreneurship will not only enable them to earn a living, but also increase their value and respect in their families, society, and nation to have a peace of mind.” Her message inspired them, and they eventually promised her that they’ll stop being beggars and relying on their families to provide for them. The participants were grateful for Aneth’s program teaching them essential skills toward creating income. One participant expressed her gratitude saying, “This project helped me to have a wide range of ideas and my thinking capacity increased from doing the activities.” Before the program, many of the women participants stayed at home, jobless, relying on friends and relatives. After the program, about 15% of the participants increased their income. Because of Aneth’s program, these women with disabilities took a step forward in uplifting their self-value, and they were given the opportunity to be independent members of the workforce, overcoming the societal barriers that barred them before. 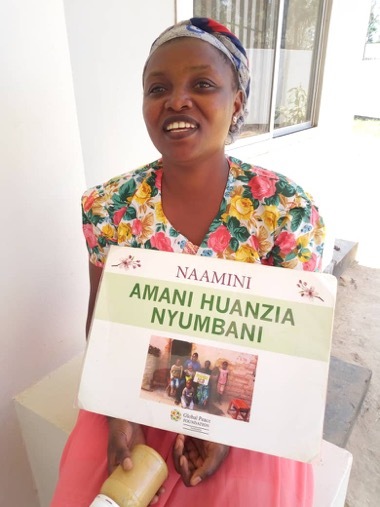 Aneth plans to expand this program to other regions in Tanzania and develop a trainers’ program to raise more disabled women leaders for Tanzania and the world. Sign up for monthly newsletters for the latest on women's leadership for peace around the world from Global Peace Foundation.